Malcom Gladwell coined the term “tipping point” which refers to a point in time where a certain specific event changes the course of history. One such decision came on April 30, 1956 in Rochester, New York of all places. Two men made a decision that would alter the course of a sports league as we know it. 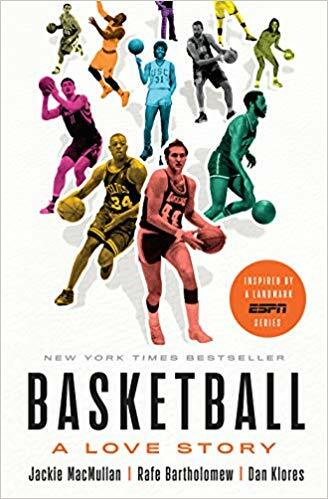 When Jackie MacMullen, Rafe Bartholomew and Dan Klores released their “Basketball: A Love Story” late last year, I was first in line at my local bookstore to buy it. The corelating, ten-part ESPN series has since escaped me but I looked to the book, a collection of stories and quotes from essentially every big name in the game since its inception, to enlighten me on what basketball has meant to them. I figured I’d also learn a little something in the process. Little did I know my first lesson would be held within the book’s initial pages. Bill Russell was a dominant college basketball player. He won back-to-back national championships at the University of San Francisco. This was before Wilt Chamberlain. This was before Lew Alcindor. This was before pretty much any NBA player of note other than George Mikan. “The Boston Celtics played 10 forgettable seasons before their fortunes changed on April 30, 1956, the day coach Red Auerbach dealt the No. 7 pick, along with Ed Macauley and Cliff Hagan, to St. Louis for the No. 2 pick. As you know, the rest is history. Russell would go on to win nine championships as a player and two more as player/coach with the Boston Celtics. He became, and still is, the most celebrated champion in NBA history. He redefined the blocked shot, the art of the rebound and more importantly, the way African-Americans were perceived in the league. The man, still smiling to this day, has the Finals MVP award named after him and a statue erected in his honor outside Boston City Hall, both deservedly so. But can you imagine if Russell had gone to the Rochester Royals?!? Maybe they would have become a powerhouse, changing the course of that franchise and its city, but not likely with only Russell and no Auerbach calling the shots. And without Russell, there’s no way the Celtics would have run off that string of eight straight NBA championships. Not a chance. No offense to the good people of Rochester but they’re not getting a professional sports franchise any time soon. In fact, for the decision of one man (who clearly was too fond of the Ice Capades), Rochester should be doomed to insignificance forever. An owner making a bone-headed call of that variety in this day and age would have fans calling for his head. Not too long after Boston selected Russell, the Royals folded, moved to Cincinnati then Kansas City and ultimately became the Sacramento Kings. To think how things would have been different had Auerbach not finagled that deal and had the Royals, not the Celtics, taken Russell. It’s safe to say the NBA would not have been the same. Oh… and the answer to your trivia question, what player was drafted first overall in 1956 ahead of Bill Russell? That would be Si Green out of Duquesne. Green would not go on to win eleven championships, he’d win not even one. But as we now know thanks to Basketball: A Love Story, in his own way, Green would change the game of basketball forever. This entry was posted in Featured, Hardwood and tagged Bill Russell, Boston Celtics, Jackie MacMullen, Malcolm Gladwell, NBA, NBA Draft, Red Auerbach, Si Green by Chris Humpherys. Bookmark the permalink. 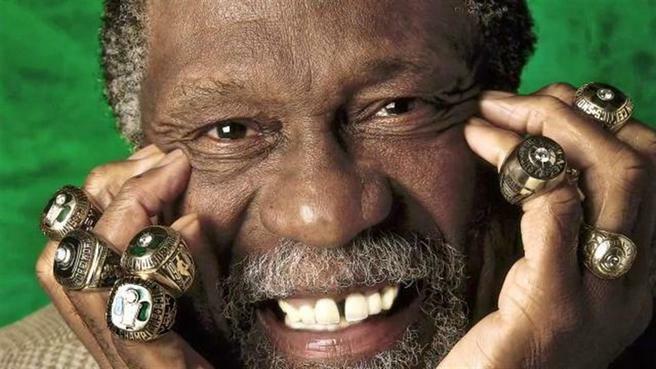 Bill Russell remains a strong advocate for social justice , while being a great NBA ambassador . He changed the game in a way few others have, Al. But seriously, can you imagine had he ended up in Rochester? We wouldn’t be having this conversation right now if that were the case. Bill Russell and Yogi Berra are the two greatest winners in professional team sports. Well, Jimmy, them and Tom Brady lol. I read a few years back about how close Russell was to becoming a Laker…Talk about how different things might have been? Wow. Looks like it may happen in the form of Anthony Davis if the latest reports have any credence…As you can imagine, I’m drooling at the thought. Just put up my thoughts on Davis. Needless to say, my good buddy from New Orleans has had a rough few weeks.